We got an E-mail over the last week with some awesome pictures attached. 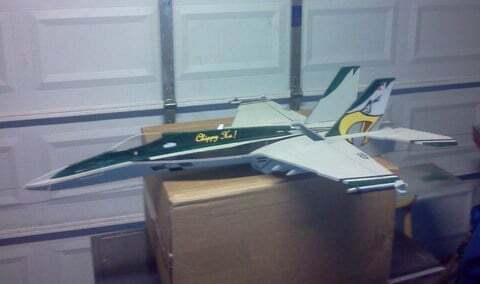 Shaun decided to take Tomas Hellberg's F-18E Superhornet design and do some custom work. This is just something you can't get out of a box. He added in a custom battery hatch, custom airbrakes, and an LED flashing light set up all worked into the design. We won't really discuss his custom paint job representing the VFA-195 squadran out of Japan, because we noticed something else, careful panel lines pressed right into the foam.